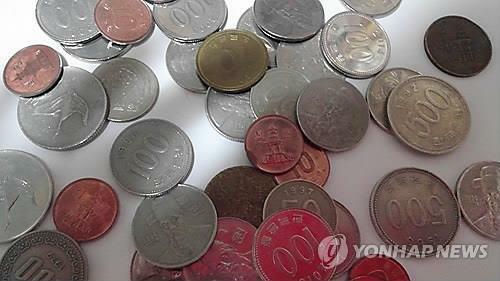 The average monthly wage of a regular worker at a business with more than five employees stood at 3,133,000 won ($2,796) in May, up 2.9 percent from a year ago, the labor ministry said Friday. That of a temporary worker or day-worker posted 1,431,000 won in that month, up 2.3 percent on year, the ministry said, citing the outcome of its latest survey of some 25,000 businesses in all industries except agriculture. Workers in finance and insurance earned the most at 5,367,000 won in May, followed by employees working at electricity, gas and water supply services with 4,880,000 won. Relatively low-wage earners were those in lodging, food, cleaning and security services with salaries ranging from 1,858,000 won to 1,998,000 won, the ministry said. Their average monthly working hours were 169.9 hours in May, down 11.3 hours from a year before.